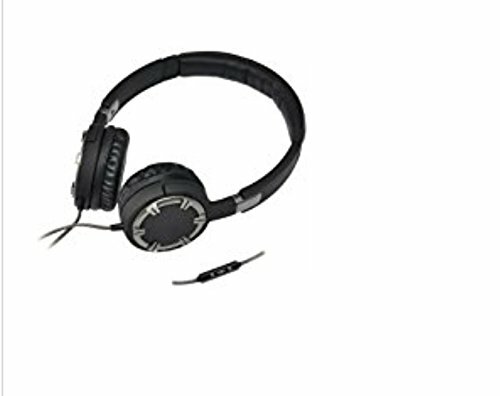 Gear Head HQ5750BCM Black, Chrome Dynamic Bass Multimedia Headphones With Microphone - Stereo - Mini-phone - Wired - 32 Ohm - 20 Hz - 20 kHz - Over-the-head - Binaural - Circumaural - 5.40 ft Cable by Gear Head at Prensa Digital PR. MPN: HQ5750BCM#. Hurry! Limited time offer. Offer valid only while supplies last. These lightweight headphones were designed to be comfortable for hours of listening enjoyment that will inspire you to work longer and play harder. If you have any questions about this product by Gear Head, contact us by completing and submitting the form below. If you are looking for a specif part number, please include it with your message.